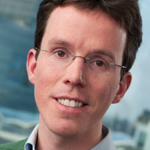 Joost van Haalem works for the Netherlands Railways (NS) as communication and strategy advisor. He worked on the development of high speed trains (HSA) and the main national Concession and coordinated the communication of the biggest change in train services in five years. Previously he worked as political adviser to the minister of Transport on issues such as road pricing, taxation of tickets, emergency legislation for infrastructural projects, road safety and the economic crisis in general. He started his career as Junior Teacher at Leiden University and soon became adviser to a member of the European Parliament on the annual report on Turkey. Joost holds a BA and an MA in Public Administration from Leiden University and an MA in European studies from the College of Europe in Bruges, Belgium. During his studies he worked for a Congressman in Washington D.C., the International Criminal Tribunal for the former Yugoslavia, an NGO in Geneva and for a Crisis Research Center in The Hague. As volunteer he helps the Congregation of St. John in setting up European and Dutch study weekends for young Catholics.